Designed for festival goers, we have taken key items from our main range and packaged them to make it easier to decide your preferred level for the perfect festival range.Each package has additional products for extra enjoyment only. The tent and sleeping bag are identical in all, as we do not see any reason for differentiating the basic comforts of sleeping and privacy. These are key essentials for enjoying your festival experience. For festivals and camping you want a tent that's easy to erect, sturdy, waterproof, and offers enough space to put on your trousers and shoes. This is exactly what the Dome 2 offers. The shape means you'll have some room to move around, and its integral ground sheet and two pole construction makes it easy to pitch. Its single skinned, has high visibility guy lines and pegs, and sturdy taped seams. 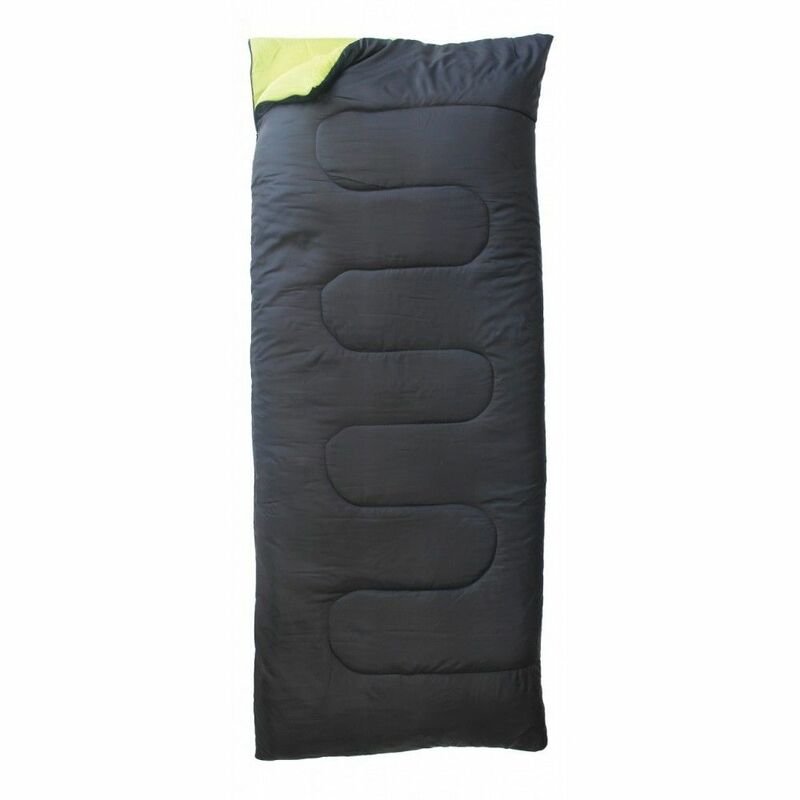 This sleeping bag is designed for one person during summer camping and sleepovers. The lightweight fabrics keep out moisture, to ensure a good night's sleep under the stars. It can fold compactly for easy storage and transportation. Ideal for both children and adults, this is a particularly good choice for family holidays. Where there are tents there are tent pegs, and where there are tent pegs a rubber mallet is needed. 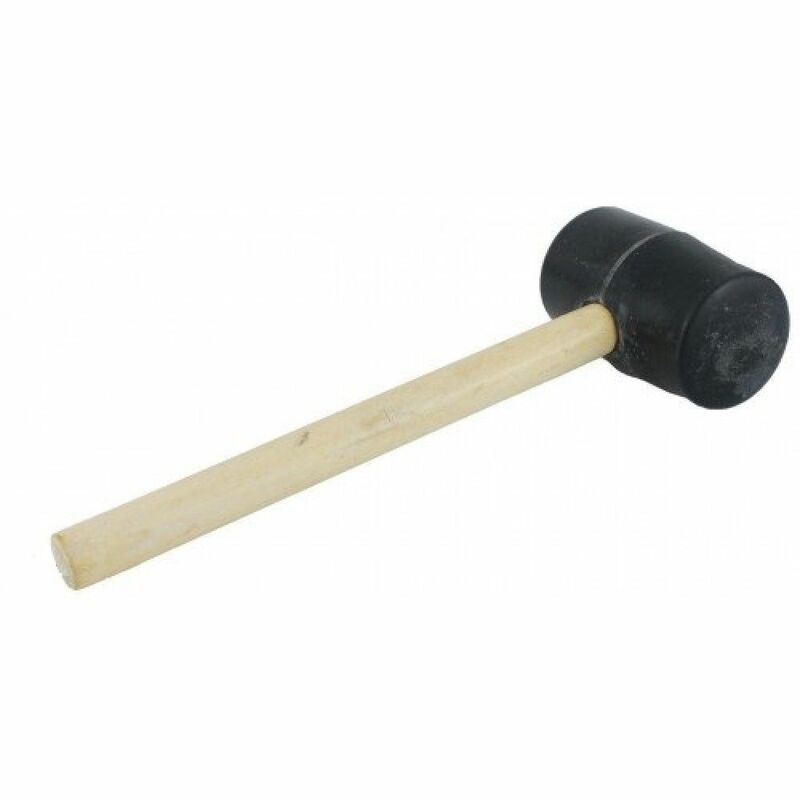 This rubber mallet has a 12oz head weight and a strong wooden shaft. The rubber head also makes it less likely to disfigure the tent pegs after some hard hits. 24cm strong wooden shaft. 6cm diameter rubber head. This 9 LED Light Rubber Finish Torch is the essential tool if you're off camping, hiking or to a festival. It's lightweight design means it can easily be kept in your handbag, rucksack or pocket. This torch has a soft touch rubber finish and a weatherproof design. Also, it has been built to be tough and durable through every season. This torch has a powerful beam and will last up to 18 hours! So whether you're out camping at night or you are faced with a power cut, it's a handy device to have around. 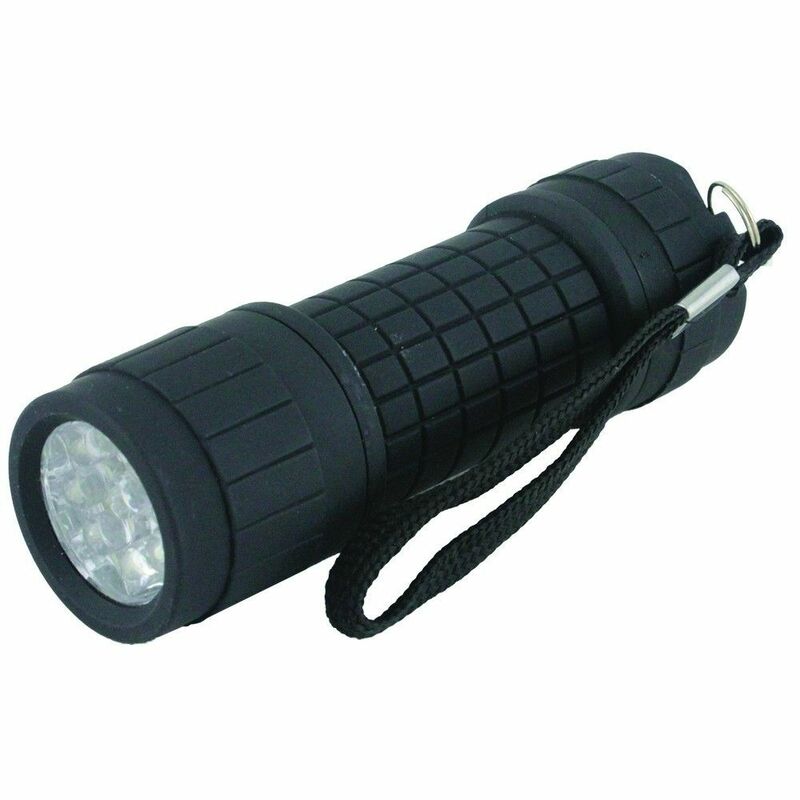 It measures 9.5 x 3 x 3cm and a lanyard and three AAA batteries are included with this torch. This festival pack contains everything you need to survive at a festival. 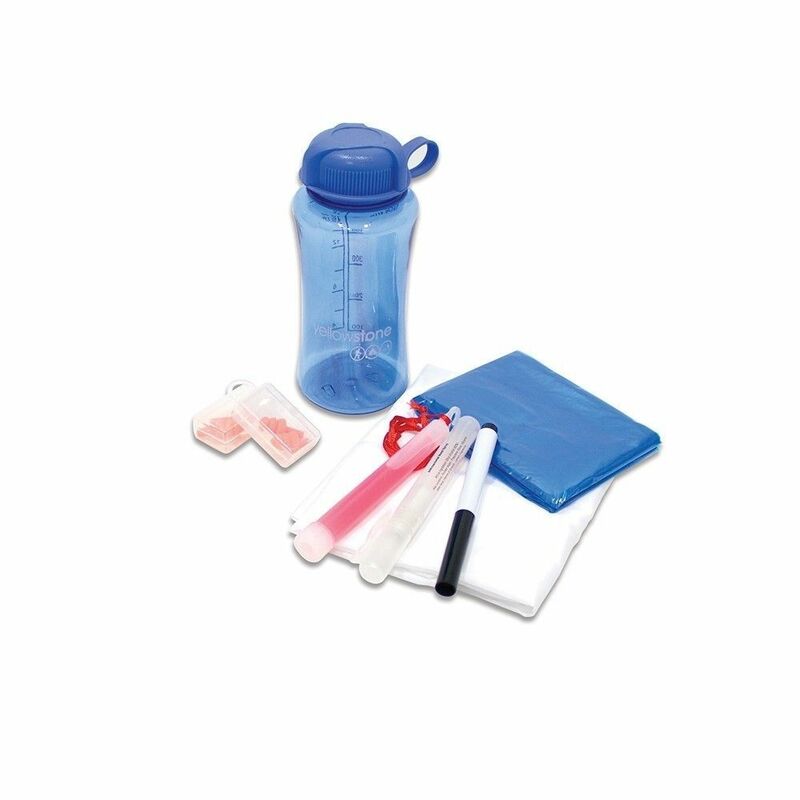 It includes a glow stick, emergency poncho, flask, hand sanitizer, large white flag with fabric pen, and ear protectors with a case, for when the boy bands take to the stage. Buy today and be safe in the knowledge that you can handle Glastonbury.